I do not know if its a world phenomena, or something that’s happening in my hometown of Lund only. I am seeing more hats worn. Could be the winter that causes the population to wear hats rather than their regular benie. Though the hats I have seen have been factory made, short brimmed, wool-looking hats. The kind you find at H&M or Zara. Not many custom out there yet. I am still talking about my hometown. Lund has a population of about 110 000 souls, mostly students, just to put things in perspective. Don’t get me wrong, I am thrilled to see more hats. It doesn’t matter how and where it’s made. It’s the awakening that’s exciting. When I stroll down the city center of Lund I always wear a hat. Regardless of the weather or temperature I wear a hat because its completes me. It completes the protection of your head and it makes an attire more pleasing with a fedora. Perhaps the city has made notice of the hats I wear. Maybe Lund could become the hat capital of the North. The quiet bustling city of Lund could use more handmade businesses crowding the shopping streets instead of home decoration and fast fashion. To walk in a city where artisans are constantly working on something exciting would be a sight to see. I previously wanted to write about 2018, what’s happened during the year. Success and failures. Lessons learned and happiness in making others happy. Much as I wanted to write sooner, I have been occupied with creating hats and planning out orders. My Christmas and New Years holiday was short. I probably had just a weekend to enjoy the time with family and friends before getting back to making hats. Even though I worked practically non-stop orders started to fall behind. Delivery times started to get closer and closer. At the end of January, I am finally up to speed and I am keeping closer to the completion dates. A hat can’t be rushed and I hate to extend the production date even further than 8 weeks. Everything is made by hand. Every stitch is place carefully one after another. 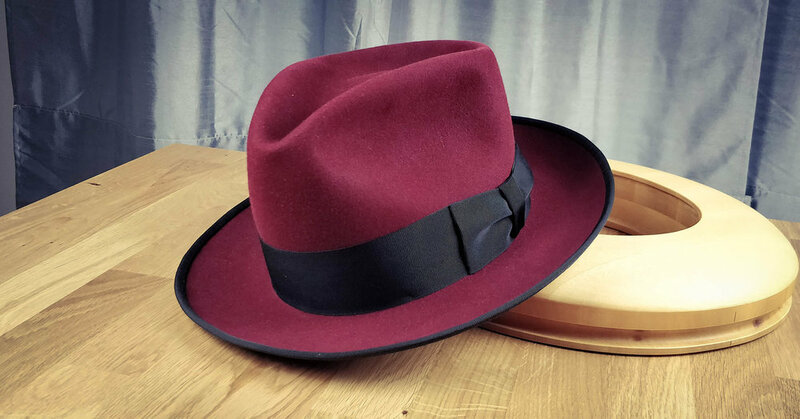 The binding of the brim is one of the most time consuming processes of the finish to a hat. It takes roughly a whole working day to make it complete. Though I wouldn’t be able to sit constantly and stitch a single brim its too much of a static process that feels uncomfortable after a while. I do enjoy the process of brim binding. It’s a fulfilling experience to make the edge smooth and fit the grosgrain ribbon (rayon/cotton blend) around the brim. No matter how long it takes, I enjoy the process. 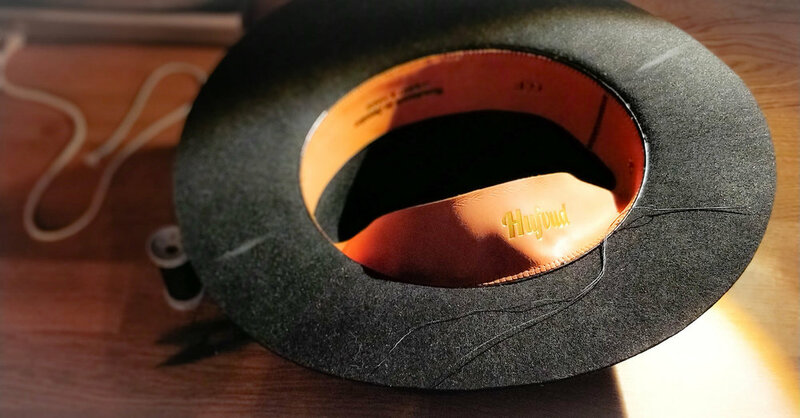 In 2019 Hufvud hats will have a different look and feel. New tools have been acquired in 2018 and new materials as well. Would you like to know what will make the hats different in 2019? What more is happening at Hufvud? Send me an email and ask.